Syfy has released some photos and a new trailer for the SyFy show "Krypton" ahead of the series premiere in March. 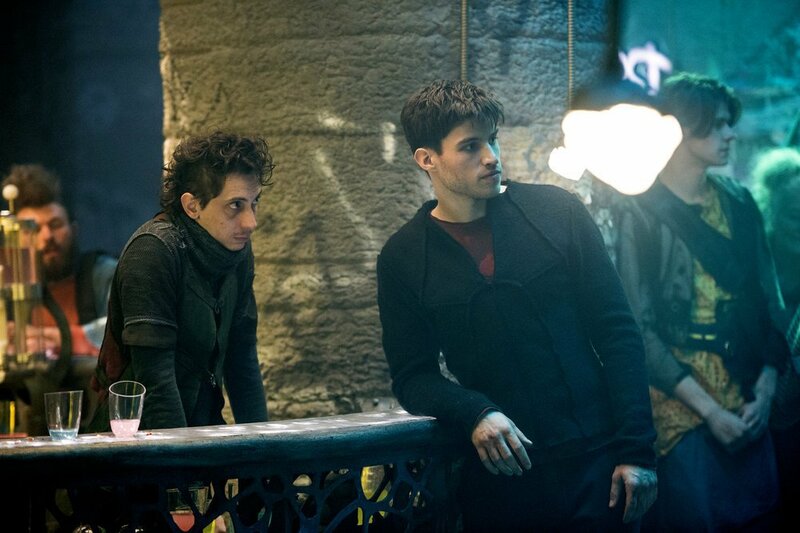 Among the new images is the first look at Aaron Pierre as Dev-Em and Rasmus Hardiker as Kem. 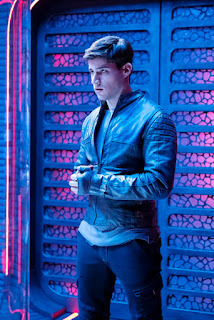 The photos are from the episodes titled “Pilot” and “House of El” respectively. 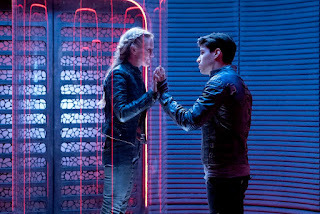 The first episode will premiere on Wednesday, March 21, and the second episode is expected to air the following week, on March 28. 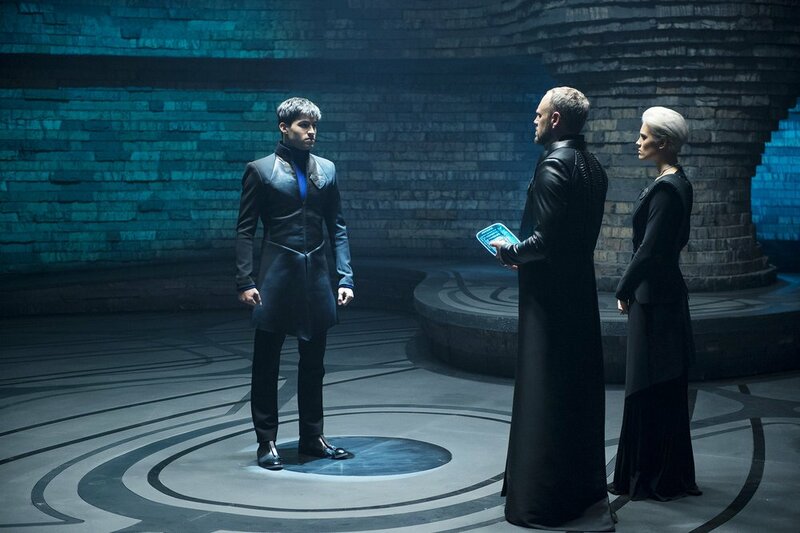 Seg-El (Cameron Cuffe) Superman's grandfather and Jor-El's father is standing in a chamber with Daron-Vex (Elliott Cowen), who's holding a document of some kind, and Nyssa-Vex (Wallis Day). Daron-Vex is the chief magistrate of the city of Kandor and works hard to defend Krypton's oligarchy. 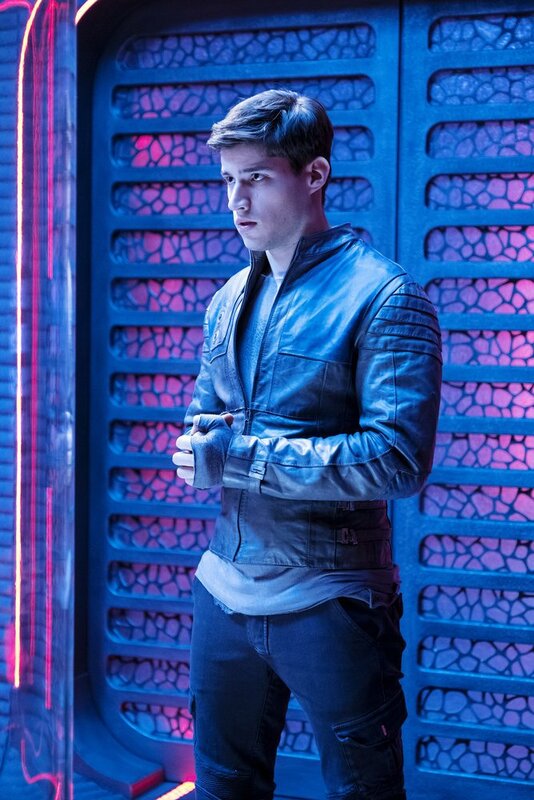 Nyssa-Vex is his daughter. In the second photo, Seg-El is visiting his mother Charys El (Paula Malcomson) who is in some kind of prison and lovely touch hands through the glass. Another photo gives a better look of the room. 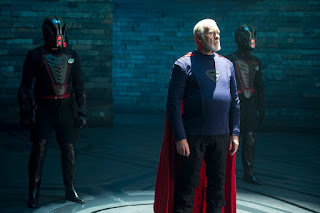 The third photo shows Ian McElhinney as Val-El, Seg's grandfather and Superman's great-grandfather staring down someone with a younger version of Seg-El watching. Behind young Seg-El appears to be his mother and father Ter-El played by an unnamed actor. Standing guard over them are three men in uniform. 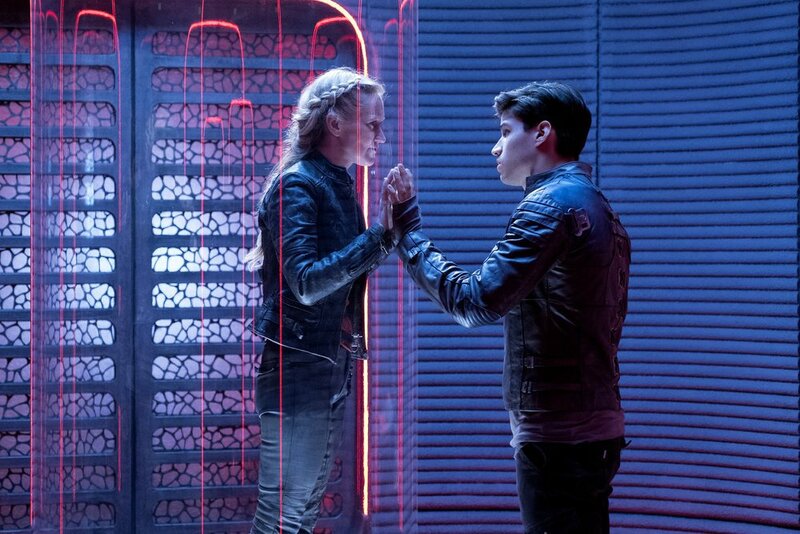 The next photo shows Val-El talking to young Seg-El as a soldier stands guard. Val-El stands proudly in the fifth photo flanked by two uniformed men. Another photo shows Kem played by Rasmus Hardiker, who appears to be in a bar with his best friend Seg-El looking at someone or something. 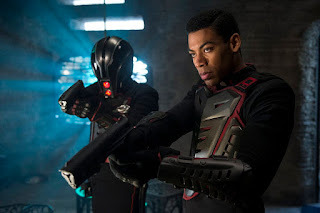 The final photo shows Dev-Em who's described as a "chiseled, twenty-something bad boy" wearing a uniform and has a gun pointed at someone or something. In the comics, Dev-Em was a criminal who became a follower of General Zod. 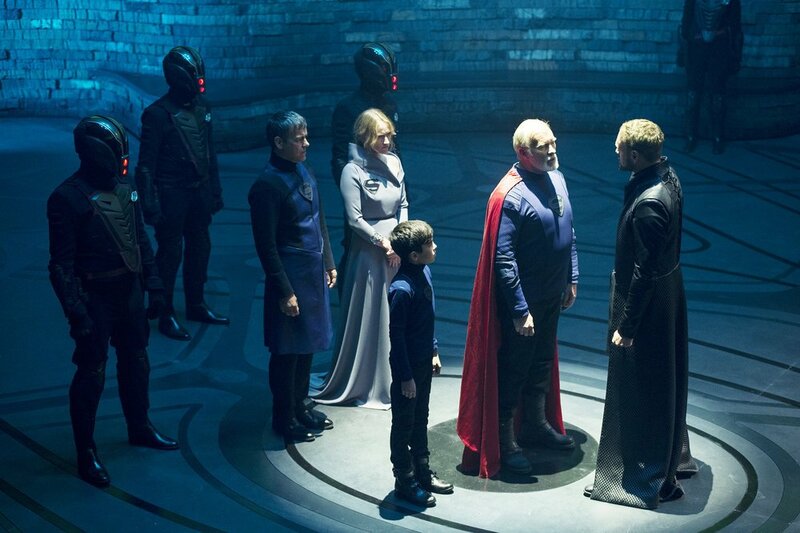 We know that by Man of Steel the House of El and the House of Zod are at odds, but we don't know if their friends or foes in the series. 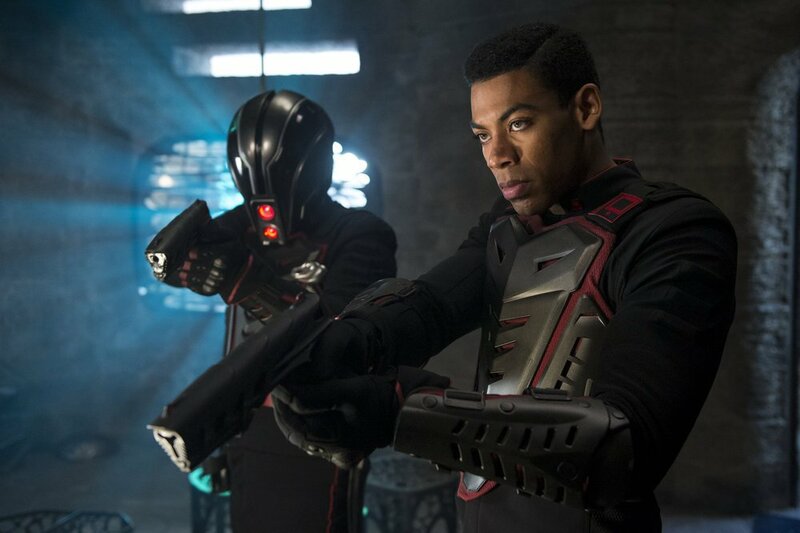 Also starring on the series are Georgina Campbell as Lyta Zod, "a reluctant cadet and warrior in the Kryptonian military, who is in a clandestine, forbidden relationship" with Seg-El. Blake Ritson has been tapped to play Brainiac a.k.a. Vril Dox. The show will also feature Doomsday and Hawkgirl. 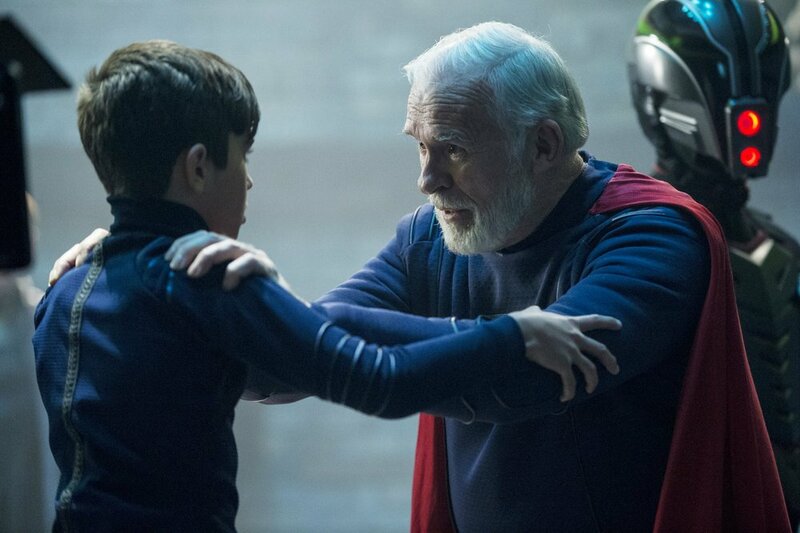 "Krypton" is set to premiere on March 21 on Syfy. Official Synopsis: "Set two generations before the destruction of the legendary Man of Steel’s home planet, Krypton follows Superman’s grandfather (Cameron Cuffe, The Halcyon) — whose House of El was ostracized and shamed — as he fights to redeem his family’s honor and save his beloved world from chaos. 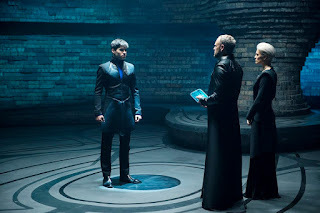 Based on DC characters, Krypton is executive produced by David S. Goyer (Man of Steel, Batman v Superman: Dawn of Justice, The Dark Knight trilogy). Cameron Welsh (Ash vs Evil Dead) will serve as executive producer and showrunner." 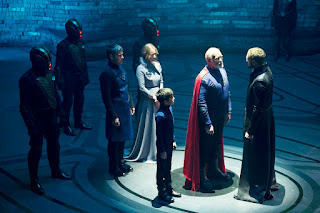 Krypton (2018) stars Cameron Cuffe as Seg-El, Georgina Campbell as Lyta Zod, Ian McElhinney as Val-El, Elliot Cowan as Daron-Vex, Ann Ogbomo as Alura Zod, Rasmus Hardiker as Kem, Wallis Day as Nyssa-Vex, and Aaron Pierre as Dev-Em. What do you think of the photos and teaser?